Love Defies Norms in "Every Day"
Based on the New York Times bestseller written by David Levithan, “Every Day” is a book-turned-movie that transcends our established ideas of what love is. It takes the cliché “it’s what’s on the inside that matters, not the outside” message and transforms it into one that we as a society might be more inclined to listen to. The story is about A, a being who occupies a different person’s body everyday. A never wakes up in the same body twice, never picks where they will end up, what gender they will be, or what their life will be like in the particular 24 hour period. In true Cinderella fashion, when the clock strikes midnight, A leaves one body and moves on to the next. It is always a person of the same age and same general location as the last. A, as they explain in both the movie and book, does their best to live each day for that person how that person would, in attempts to disrupt the people’s lives as little as possible. However when they enter the body of Justin, A falls for Justin’s girlfriend, Rhiannon. As A becomes new people for a few more days, they do everything they can to see Rhiannon, including skipping class and attending her school for the day. A eventually decides to put their trust in Rhiannon and spills their secret. At first, Rhiannon is hesitant to believe it all, however after A proves to her that it has been them in all the bodies through details from their interactions, she comes to terms with the life A lives. "She is able to look straight past the body A is in and simply love them for who they are." From then on, Rhiannon does her best to see A in all ways possible and starts falling in love with them. Gender aside, Rhiannon is in love with what is on the inside of A. While the movie does a lovely job of bringing this concept to screen, it lacks the depth that the book has. In the book, A occupies 40 individuals. In the movie, for time’s sake, A is only seen as taking over 16 bodies. That doesn’t subtract from how well one of the main themes was portrayed from text to screen, however. Levithan's crucial themes of love and acceptance still permeate the movie. As there is no set definition or picture of love, “Every Day” makes it so that we can see a totally separate side of love that is still humanly possible. Despite being in a new body each day, A is committed to being there for Rhiannon. They make sure to care for her needs and emotional well-being. This is the kind of commitment I think everyone in real life could hope for: endless support and unconditional love. Perhaps on an even larger scale, Rhiannon shows the same commitment to A. She is able to look straight past the body A is in and simply love them for who they are. She kisses A when they are a male, and doesn’t give a second thought to kissing them when they are female. 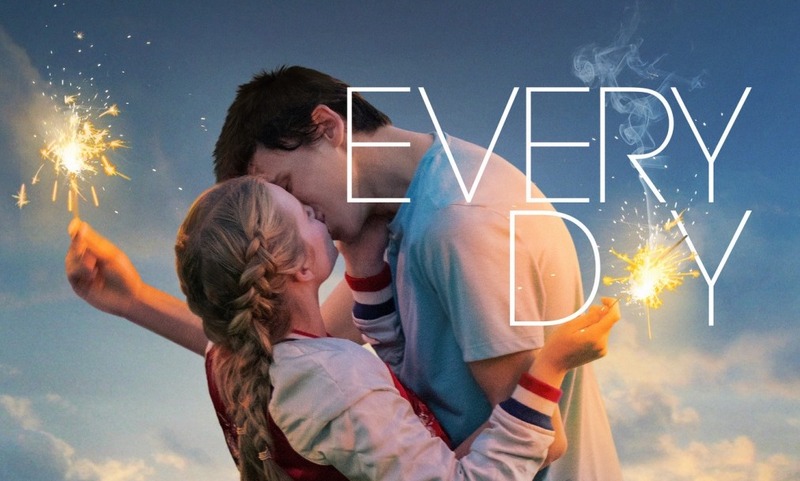 In today's society where acceptance of all kinds of love is on the rise more than ever before, movies like "Every Day" have the ability to gain so much more popularity. It's films like these that help spread ideas that you can and should be able to love whomever you please and not be judged because of it. Seeing Rhiannon with both men, women and transgender love interests only boosts positive attention surrounding LGBTQ+ communities. I think the film's message of acceptance can even be applied not just on a romantic level, but on a personal friendship level as well. Just as we are taught not to judge a book by its cover, we shouldn't judge people based on their outside appearance because what they have to offer inside is far more important. It is paramount to give everyone a fair shot and not reject them because their hair is an atypical color or their style screams "negative stereotypes." The movie itself stretches what the book writes in terms of plot, but manages to keep the messages the same. While it does remove a major plot point, it captures the themes of love breaking limits beautifully and with such integrity. If you give this story a shot, chances are you’ll fall head over heels for the book. The movie is still worth the watch, although not quiet as good as the book (as per usual). Once you have fallen for “Every Day,” be sure to check out its companion novel, “Another Day,” that tells the same story but from Rhiannon’s perspective. Lastly, if you still can’t get enough of A’s story, keep your eyes out for the sequel “Someday” that will be released in October 2018. “Every Day” teaches us that love goes beyond the dimensions to which we are confined. It inspires us to keep open minds about who might be the one for us and that your “one” might not be in the form you’re searching for. It allows our minds to wander outside of reality and truly see love as conquering all — even the world we know and love. Levithan, with this book and now movie, speaks on a personal level to all those who are searching to find themselves and teaches us how to love without limitations.